1. Stir together eggs and flour (it'll be lumpy and I know sometimes people will use a blender or food processor on the next step, to get lumps out.. I didn't and I had some lumps). 2. Add melted butter and salt. This is when you can blend it up or use a mixer instead of your hands and a spoon, to get out the lumps. 3. 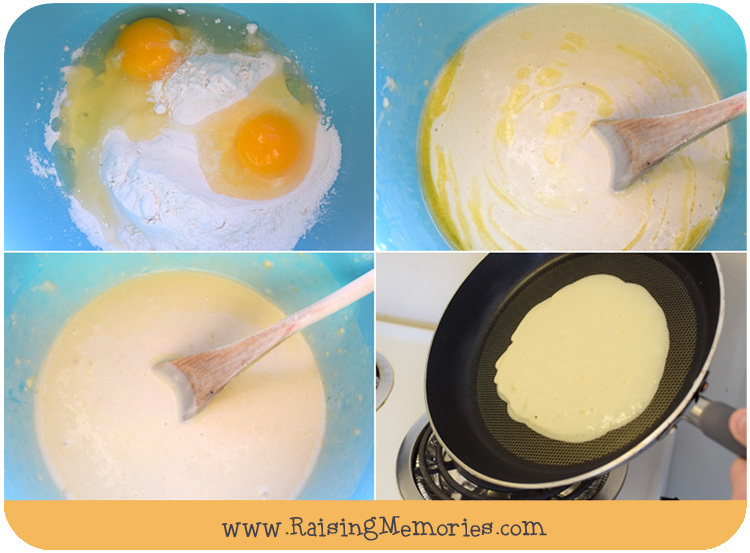 Heat up a frying pan and poor batter into pan (tilt pan to help it spread). This part is a lot like cooking pancakes but crepes are thinner. :) Flip and cook both sides. 4. 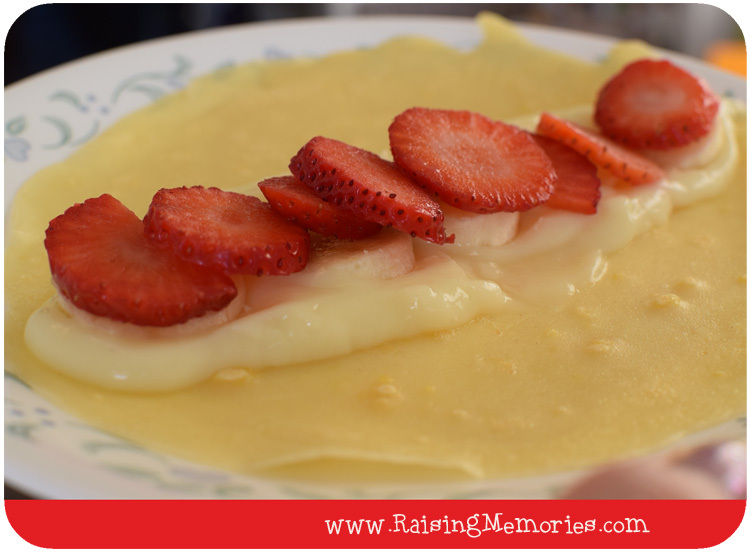 The last step is to fill your crêpe with deliciousness! 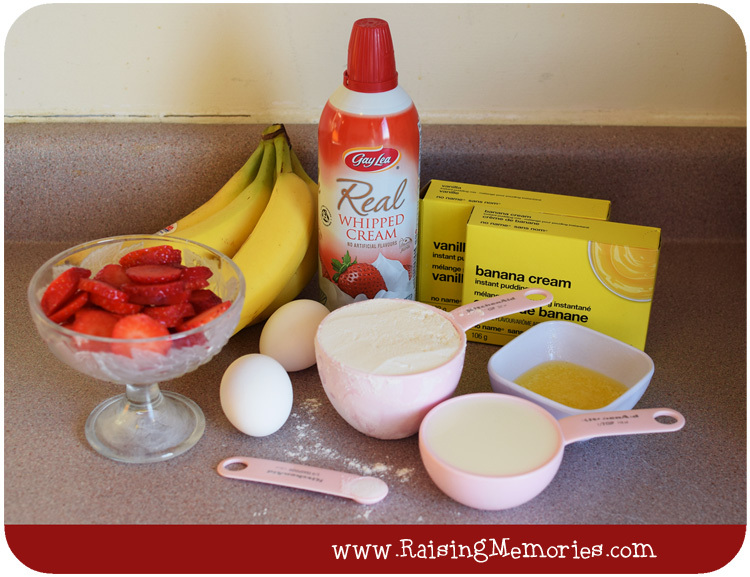 I like to layer some pudding and top with bananas and strawberries (sometimes I'll add in some other berries too). You can checkout the Gay Lea website for other great recipes and information on their products. I have never made a crepe before but from the looks of it i just may have to soon. I have never made crepes, we usually do pancakes.. 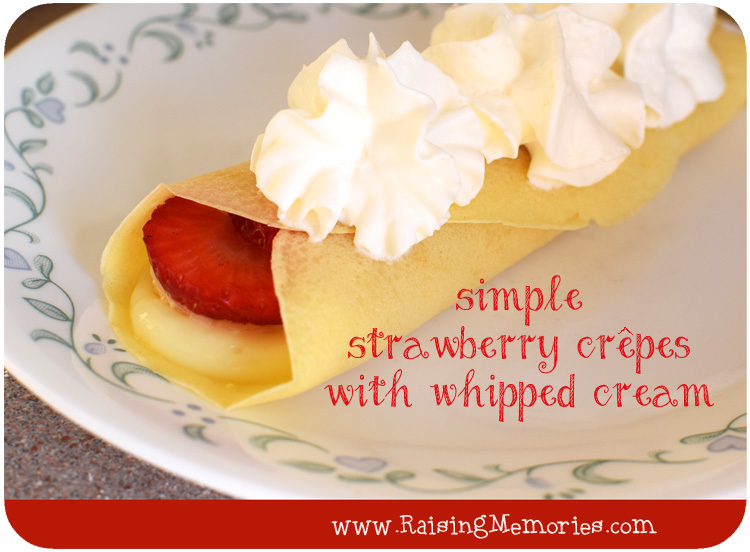 But I love crepes and all the different ways to flavour them up . This looks like an easy recipe, so I will have to give it a try!! Oh my goodness!!! You are making my tummy rumble. These look so good! Yum! They look so amazingly delicious! I would love these for breakfast or dessert! I haven't made crepes for a long time and now you have inspired me! Happy Valentine's Day! I've always wanted to try crepes. Thank you for this! You're very welcome! :) I hope you get a chance to try them! I am a crepe fanatic! They're so tasty and great with both sweet or savoury options. I love this recipe, thanks for sharing. We went crepe crazy on the weekend!! Great minds think alike. We made several of these and never had before. They are easier than I ever thought and so delicious too. They are not very difficult and they really are delicious! These look so delicious! I have made pancakes but never crepes. I am going to have to try these! Thanks!! Looks so yummy, I will be going to try this! These look too yummy not to try! I'll be adding a few more items to the grocery list, thanks for sharing! I am going to try and make this for Valentine's Day,thanks !! I would love to have one of these right now! You are correct,simple to put together and delicious.The grandkids keep asking for it!